Home » Posts Tagged "car"
Any out-of-state traffic violation within 30 days of conviction. Any out-of-state suspension, revocation or cancellation of driving privileges, as well as disqualification or out-of-service actions, within 30 days of the effective date. Change of name or address within 10 days. The driver has 30 days to obtain a corrected CDL. Any traffic violation within 30 days of the date of conviction. Any suspension, revocation or cancellation of their driving privileges, as well as any disqualification or out-of-service action, within one day of notification of action. Complete employment and driving record for the previous 10 years. Law requires drivers operating a commercial motor vehicle (CMV) or a non-commercial motor vehicle (nonCMV) on highways to automatically give their consent to submit to certain tests to determine blood-alcohol concentration (BAC). A CDL holder may not operate a commercial vehicle with a BAC of .04 or more or a noncommercial vehicle with a BAC of .08 or more. Any driver operating a CMV or non-CMV who refuses to submit to chemical testing or submits to a test with results in excess of the legal limit is disqualified for a minimum 12 months. 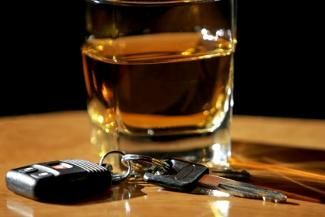 Any driver convicted of DUI (regardless of BAC) is disqualified for a minimum 12 months. If either violation above takes place while transporting placarded hazardous materials, the driver is disqualified for a minimum three years. A driver who commits two of the above violations, arising from two or more incidents, is disqualified for life. A CDL holder operating a CMV found to have any alcohol in his or her system is placed out of service for at least 24 hours. Anyone convicted of driving a commercial motor vehicle with any amount of drug, substance or compound resulting from unlawful use or consumption of cannabis listed in the Cannabis Control Act or controlled substance listed in the Controlled Substance Act is disqualified for a minimum 12 months. Knowingly and willfully leaving the scene of an accident while operating a CMV or non-CMV results in disqualification for a minimum 12 months. Committing a felony while operating a CMV or non-CMV results in disqualification for a minimum 12 months. A conviction for either offense above while carrying placarded hazardous materials results in disqualification for a minimum three years. A conviction for violation of an out-of-service order results in disqualification for a minimum six months. The use of a CMV or non-CMV in the commission of any felony involving manufacturing, distributing or dispensing a controlled substance, or possession with intent to manufacture, distribute or disperse a controlled substance, results in a lifetime disqualification. Operating a commercial motor vehicle in violation of regulations pertaining to railroad-highway grade crossings: first conviction – 60 day disqualification; second conviction within a three-year period —120-day disqualification; third and subsequent conviction within a three-year period — one year disqualification. Excessive speeding involving any single offense for any speed of 15 mph or more above the posted speed limit. Failure to reduce speed to avoid an accident. Exceeding the speed limit in a school zone. Operating a CMV or non-CMV in a manner that exhibits a willful, wanton or reckless disregard of the safety of persons or property. Passing a vehicle stopped for a pedestrian in a crosswalk. Passing a school bus receiving or discharging passengers or displaying a warning not to pass. Operating a CMV without a valid CDL. Operating a CMV with an improper classification or restriction. Violation of an instruction permit. Failure of a truck to leave sufficient distance for being overtaken by another vehicle. Improper or erratic traffic lane changes. Improper lane changing, lane usage and/or center lane usage. Passing on a hill or curve or when prohibited. Passing on wrong side of the road. Improper passing on shoulder, left or right. Driving wrong way on a one-way street or highway. Driving on the left side of the roadway. Passing in a school zone. A violation of any state law or local ordinance relating to motor vehicle traffic control (other than parking violations) arising in connection with a fatal traffic accident. A violation relating to a CMV driver having multiple driverʼs licenses. Two serious traffic violations within a three-year period results in a two-month disqualification. Three serious traffic violations in the same period results in a four-month disqualification.